Product categories of Benchtop Cable Stripping Machine, we are specialized manufacturers from China, Benchtop Cable Stripping Machine, Benchtop Wire Stripping Machine suppliers/factory, wholesale high-quality products of Cable Stripping Machine R & D and manufacturing, we have the perfect after-sales service and technical support. Look forward to your cooperation! What happens to the scrap cable wire after you drop them off? They are sorted by material and sliced into smaller pieces. The processed scrap is packaged and shipped to a company that re-melts the materials and makes new products out of it. 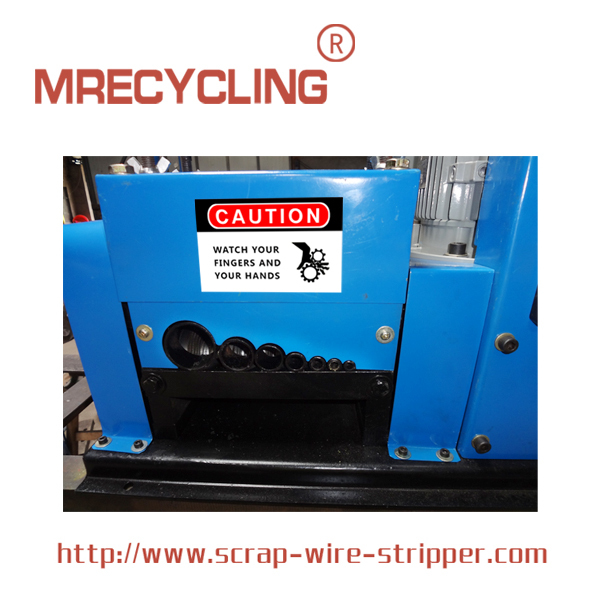 An automatic Scrap Wire Stripper can help you strip the insulation from the cable wire very quickly and easily.